The personal injury lawyers and staff at The Bellon Law Group have one primary objective: to help our clients recover their losses and become whole again. We understand the human cost as well as the financial loss involved with accident cases, and we work closely with our clients at every stage of the case to deal with the practical problems as well as the legal challenges that result from a serious act of negligence. 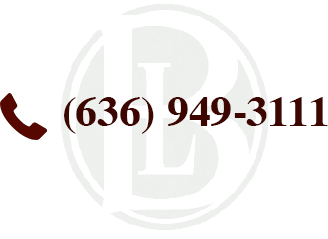 Contact us in St. Charles for a consultation with an experienced trial attorney. Our St. Charles personal injury attorneys can give you a good idea of the value of your claim, the availability of insurance coverage and the best ways to deal with medical expenses and hospital bills while your case is proceeding through the claims settlement or litigation system. We offer consultations and collect an attorneys fee only if we are successful in resolving your claim. Our attention to detail on both liability and damages issues can help protect your interest in collecting full compensation in the greater St. Louis metropolitan area. Adam M. Goffstein, Attorney at Law, often works with our firm's lawyers on personal injury cases. Mr. Goffstein, who also has office hours in Clayton, Missouri, primarily focuses on plaintiff injury claims. For additional information about the scope of our personal injury practice, contact a lawyer at The Bellon Law Group in St. Charles.